New version of traffic density and speedlimims mod. 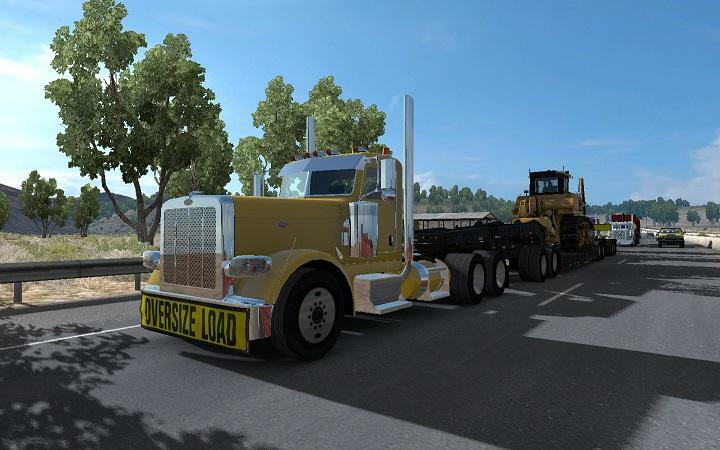 This mod and addons do not use additional vehicles type. with traffic spawn algorithm, so now this mod is not working as I want to see it in game. – Sometime you can drive on empty roads, even I set 60 cars and 18 trucks, and I don’t know where it’s all? – Some of rare vehicles like a police with beacons and emergency cars can spawn too often, after game restart this issue may be fixed or not. – pup and rocky mountain spawn everywhere (I like rm trailers so), doubles (48ft x 48ft) and triples spawn in Nevada only. not additional vehicles types used for this addon. Addon priority not matter. 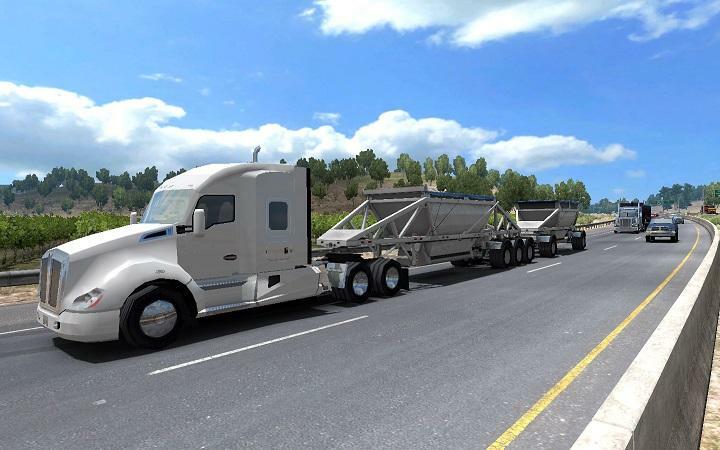 – Heavy cargo in traffic with very rare spawn probability also not used additional vehicles and trailers types. Emergency cars with beacon lights on like a ambulance, firetruck and hiway patrol built in base mod. If you use Drive Safely “Sound fixes pack” it must have high priority of my base mod. Previous Mod GOODYEAR Racing Equipment – Special Transport!